Photos simplify. Reality is that which is in a constant, never ending state of becoming or dissolving. Photography is a lie because it arbitrarily designates moments as finished, complete, comprehensible in themselves. But it can also uncover the hidden, the tentative and ephemeral, the subtle and evanescence invisible to accustomed seeing. Now camera phones and ease of digital dissemination have made photography ubiquitous. We photograph the minutia of our daily lives: what we eat, how we interact with friends, the nuanced ways we daily transform our selves. 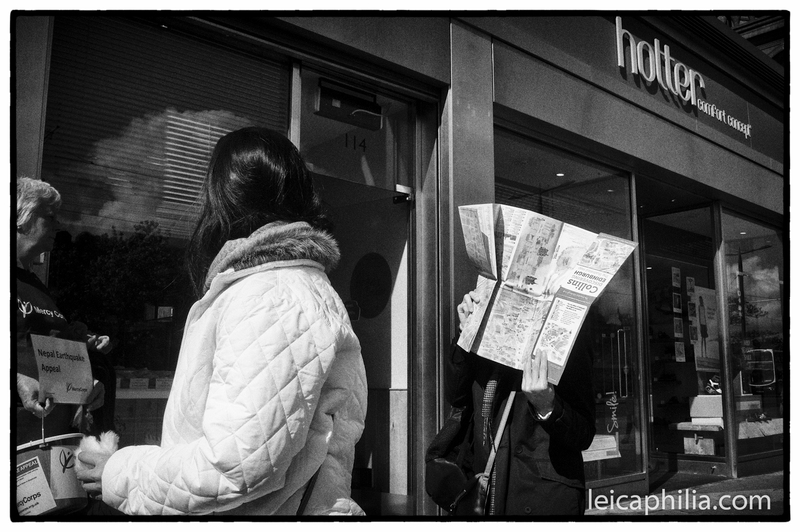 Certainly so In the case of “street photography,” which enjoys immense popularity these days. candid, unposed photos of people in public spaces have never been easier. Tumblr and other social media platforms are full of candid photos of people in public places. Unfortunately, most of it is banal and pointless, aspiring to nothing more than the memorialization of a given moment. Street photography has always inhabited an ambiguous position within the debate about the truth of photography. The premise of candid photography is to capture a a fleeting moment that stands for a larger truth. Street photographers would say that It is not about prettiness or decoration. A banal subject can make a beautiful photo. Common life, common things, glorification of the obscenity and filth of the street. The best aspires to a reality truer and deeper than anything immediately at hand, something more intense and deeper than the ordinariness daily life surrounds us with – what the Greeks called anagnorisis – when the mundane surface is stripped away and the essence is revealed. Real “street photography,” in contrast to photos taken in public places, including on streets, is a relatively recent photographic movement and aesthetic, practiced first in the early 60’s by the American photographer Garry Winogrand. Winogrand, who came of age as the photographic heir to the candid documentary style of Robert Frank, redoubled Frank’s non-mannered, capricious approach and made it the means to how his photographs would present the reality that confronted his camera. His historical significance and uniqueness is to some degree because of his discovery of heretofore neglected subjects, but it is mostly about form: he made his photos an exercise in compositional serendipity, completely foreign to the prevailing mannered aesthetic. 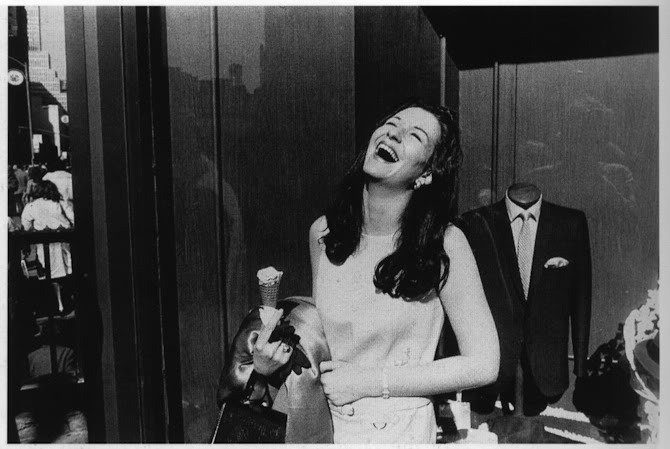 But there is also a deeper break with tradition; Winogrand’s genius and the true source of his originality was his ability to disappoint expectation: instead of the forms expected of the photographer as creative artist, Winogrand presented the starkness of ‘what we see’. The greatness of the photos was that they changed the nature of the form and what we now expect to see. I love Winogrand’s aesthetic and, like most photographers educated in the history of the visual arts, have been profoundly influenced by his way of seeing. I consider myself a “street photographer.” But I also acknowledge that what gives the best “street photography” its power, its skewed instantaneous perspective, is ultimately a result of its cavalier way with the facts. Like all good art, the best street photography is transitional, emergent, hung between what has passed and what doesn’t yet exist. 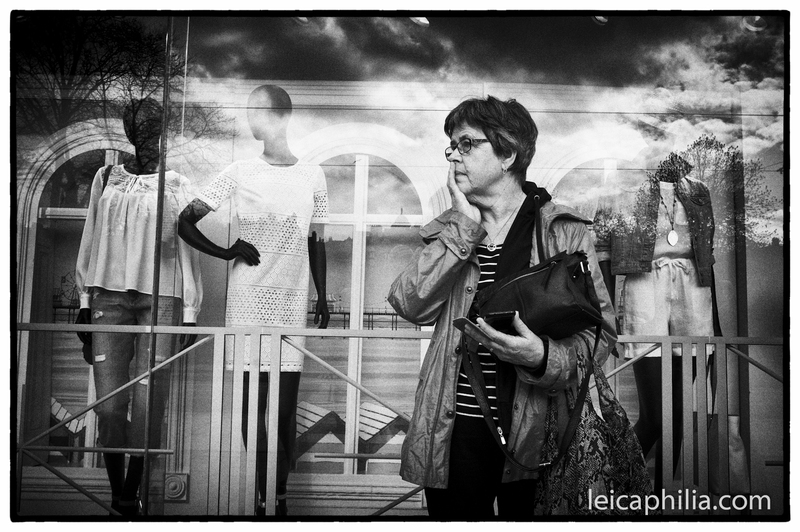 The puzzles posed by street photography are a result of this in-between moment. It is compelling in its ambiguity. Its what makes a Winogrand picture so interesting. Mystery is power, and the not-understood is more interesting than what is unambiguous and clear. 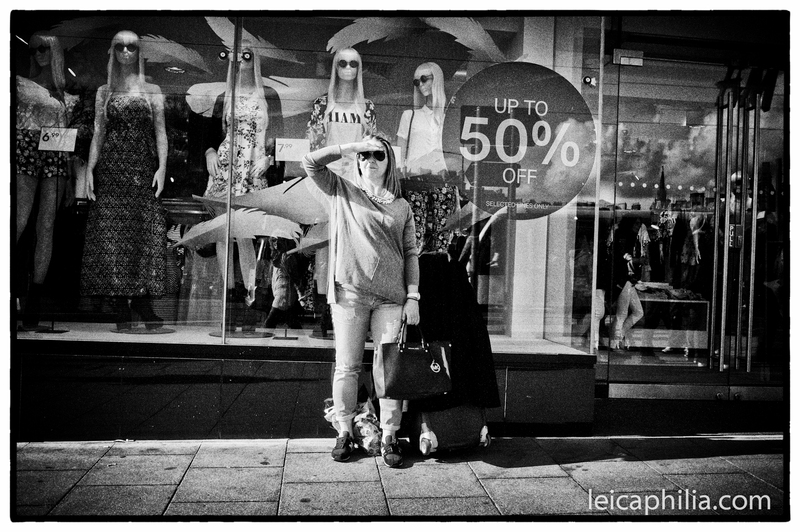 But its also what makes good “street photography” a fiction, false to the reality of everyday life. It is the conceptual mistake that gives rise to philosophical parlour tricks like Zeno’s Paradox: the claim that a flying arrow is really always at rest, and at any moment of its flight it is at only one point in space, that is, motionless; its motion, however actual to the senses, is logically, metaphysically, unreal. Its also the mistake of photography, best exemplified and amplified by “street photography, ” both its seduction and its lie. Really good “street photography” is a cheap trick, a conjurers’ tool for the clever.The false philosophical assumption of the street photograph is that time and motion are discontinuous, composed of discrete points or parts, and that a view of a discrete part tells us a truth about the larger whole. Sometimes it may, but not necessarily. Sometimes, the woman standing in the street, laughing at a joke, is only that and nothing more. This entry was posted in Philosophy of Photography and tagged Garry Winogrand on August 12, 2015 by Leicaphila.